Maintaining a fleet of readily available empty containers in-demand locations at all times is the biggest challenge of liners. Also managing manual process of repair cycles, repair price negotiations, scanning repair estimates, and communication with regional offices for approval are consuming more time, which leads to business failures. Our Intelligent solution will help you improve all aspects of container repairs. SVM CMR (Container Maintenance System) is an effective and efficient solution for container carriers and repair vendors. We provide greater control over the repair costs, 3D visual view of exact damaged portion, and tracking the status of every repair job. 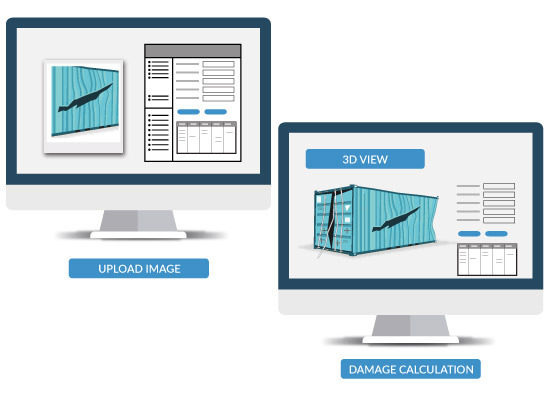 Our application streamlines the workflow process, which helps you reduce waiting times, improves repair cycle times, rendering containers back in service quicker, faster and more cost-effectively. Manage vendor performance – Generate reports and analysis of vendor’s performance such as repair turnaround time, etc.